UU A Way Of Life: What is the purpose of UU AWOL ministries? What is the purpose of UU AWOL ministries? The primary mission of UUAWOL ministries is education and conversion. 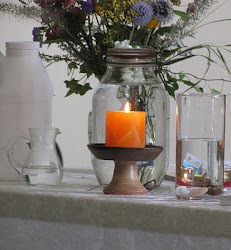 Unitarian Univeralism: A Way Of Life Ministries is seeking to convert lapsed UUs, the "nones," people disaffected from other faiths, and agnostics and atheists to enthusiastic, joyful participants in the UU covenant. The UU covenant has much to offer a weary and beleaguered world. The UU covenant offers peace, joy, fulfillment, and Truth (capital T). Will you join us in our ministry? UU A Way of Life ministries needs your time, talent, and treasure. Take a minute and consider how you can help extend our covenant to the world. We'd love to read your ideas either in the comments below or send them to me at davidgmarkham@gmail.com. Dave: I really like your idea of inviting people to share in our UU covenant. I do invite my family and friends to church with me and I have forwarded your blog posts to people I think might be interested. I certainly am morally supportive of the mission and will help spread the word. Thank you Sarah. 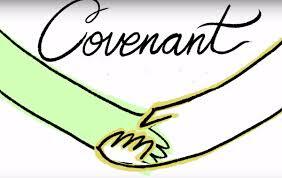 If there are things UU AWOL ministries could be doing to support you living and sharing the covenant, please let me know. In all my years of attending various UU churches I have never been encouraged or invited to participate in covenant relationship. Seems strange that people are never asked. Not only are people are not asked, most people who attend UU churches are not aware of the 7 principles that they supposedly covenant together to affirm and promote. The "living tradition" is very shallow and ephemeral. Most Unitarian Univeralist congregations are mediocre at best when it comes to uplifting the covenant and helping people to enact it in their daily lives. Mark: I never have either. Is UU A Way Of Life ministries on to something? 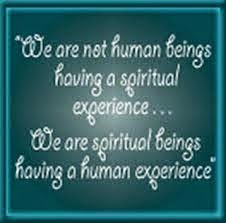 I think if we are going to grow our living tradition we have to make the ask. What can it hurt? It can only help. What do you have to do to join the UuAWOL ministries? Thanks for your interest. Over the next couple of weeks more information will be shared about how people can join in the work of UU AWOL ministries. The criteria for joining UU AWOL ministries and expectations of membership will be described. Membership in UU AWOL ministries will be tiered. This will be further described in subsequent articles. Readers ideas and feedback are welcomed and desired. I am happy to learn of your interest.